Adventure enthusiasts, Polaris India has now opened its 86th off-road adventure track called Polaris Experience Zone (PEZ) in Tiger Eye Adventure of Sunny's World, which is located in Susgaon. Tiger's Eye Adventure in Sunny’s World is the country’s largest adventure resort. The track which is spread over an area of 100 acres, is an ideal setting for the sport. The brainchild of Pankaj Dubey, the 200-metre track has a specially designed dirt track with lots of obstacles like hump, jumps, sludh pits and dents made of sand and stone. 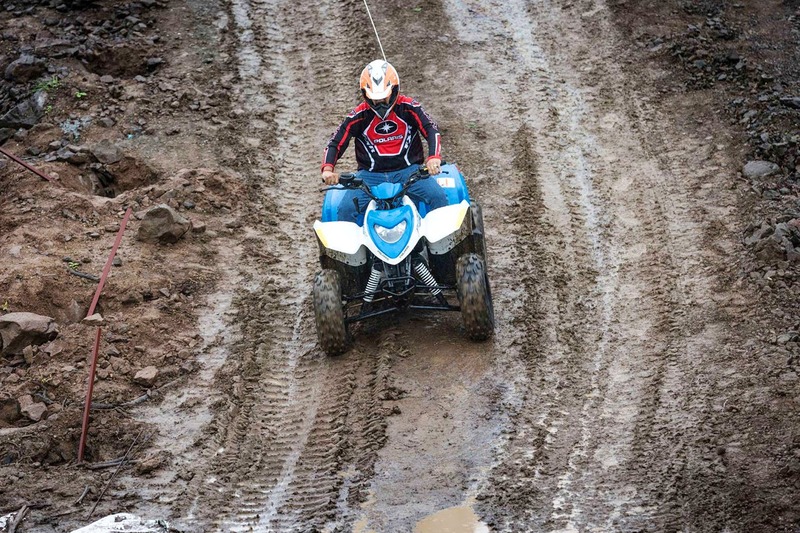 Starting at INR 500, participants can go for two laps on any of the all-terrain vehicles (ATVs). We recommend the beginners opt for professional trainers who can teach you to handle different types of off-roading obstacles. Enjoy an exhilarating ride on either Trailboss 330 or Phoenix 200 ATVs. Both the in-house ATVs are easy to manoeuvre and enables swift movements for first-timers. The off-roading culture in Pune is comparatively new. We feel a pre-training session needs to be conducted for the beginners that introduces the sport. Adventure junkies need not limit themselves to just this outdoor activity, You can check out a number of other games and adventure sports present in the Tiger Eye Adventure.